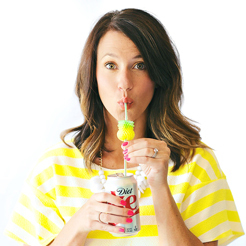 After a long winter, I’m so ready to party outside. I like to enjoy the warm weather with friends as much as possible, and most of our dinner parties take place out on the patio. 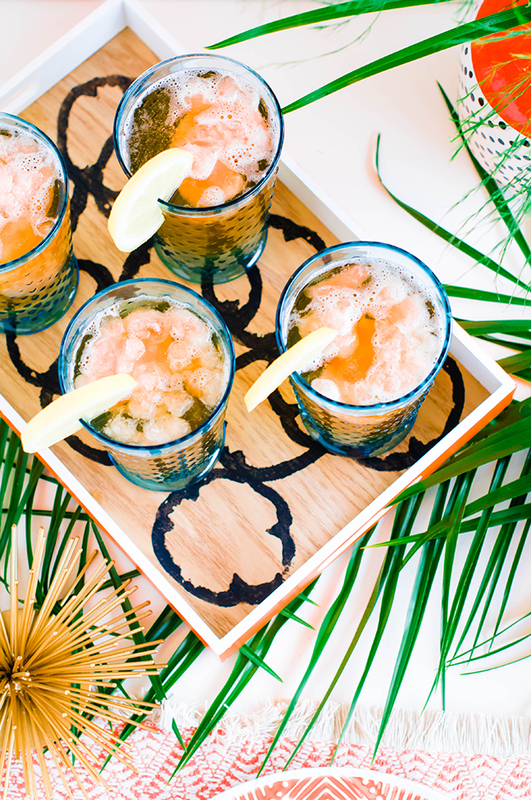 Serve up your drinks in style by giving a tray a simple makeover. 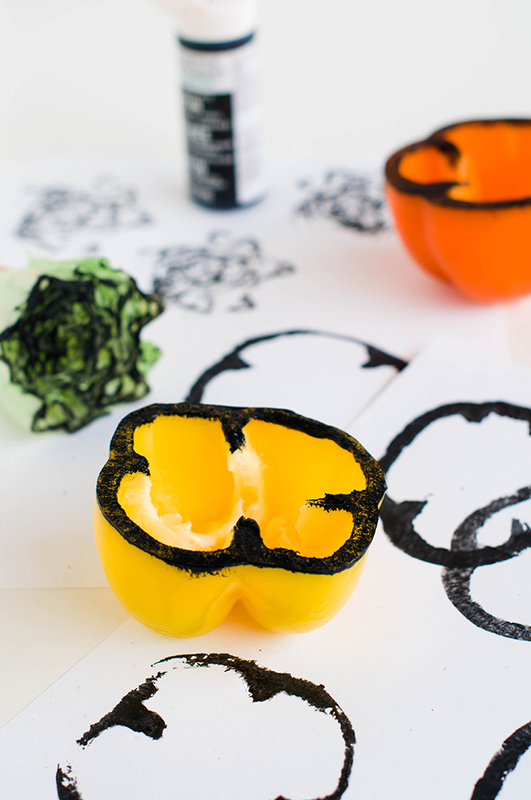 I made stamps out of vegetables for this project. 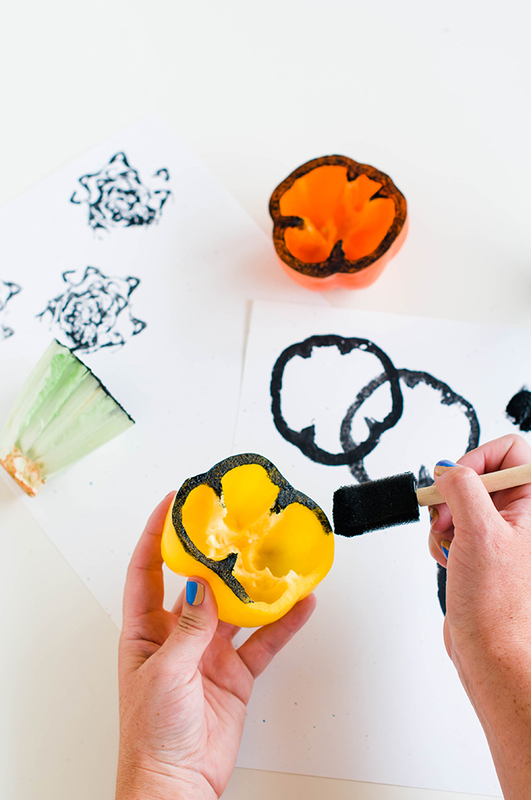 You can make vegetable stamp art out of almost any veggie imaginable, and the results are organic and fun. 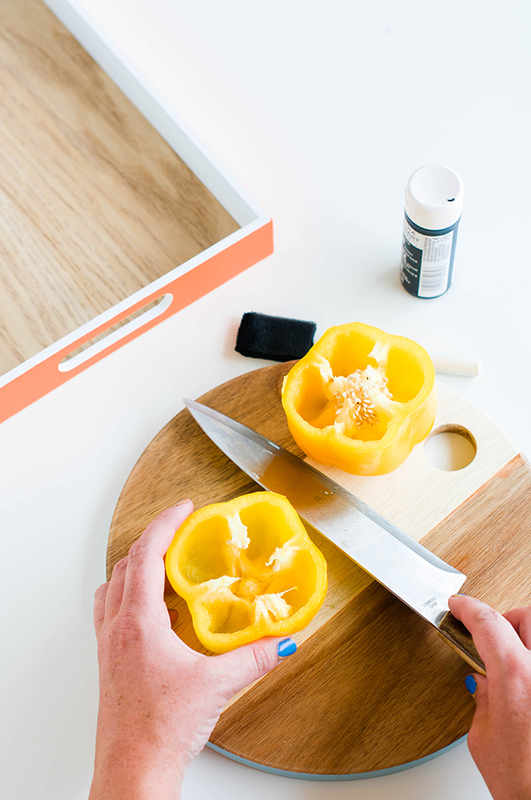 Even better, you probably already have the supplies for this DIY tray makeover in your fridge. 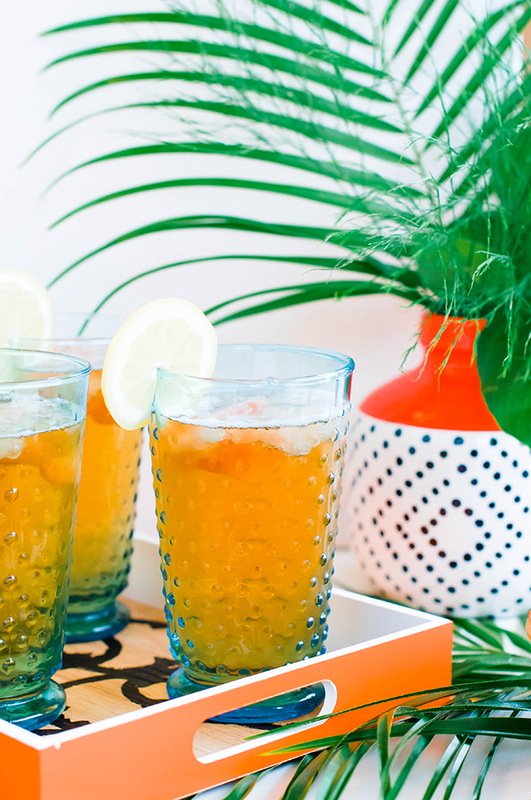 Just find a tray that is perfectly functional but maybe doesn’t fit your aesthetic, and give it a DIY makeover with this easy tutorial. 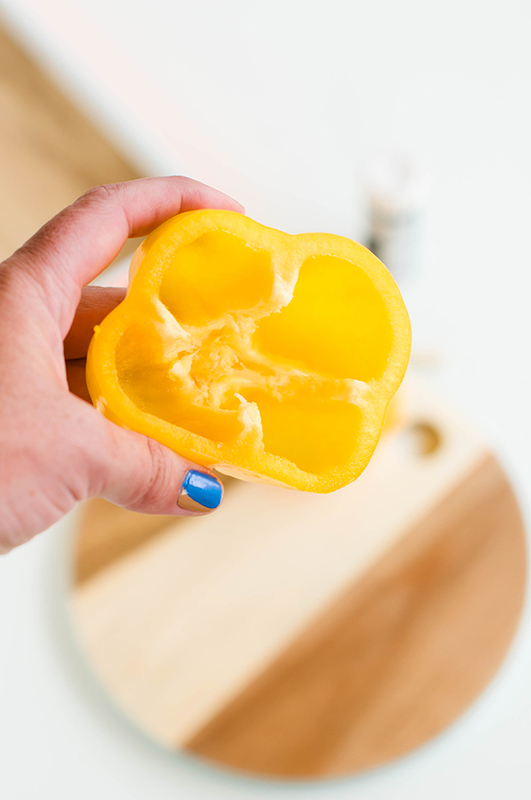 Step 1: Cut the bell pepper in half. 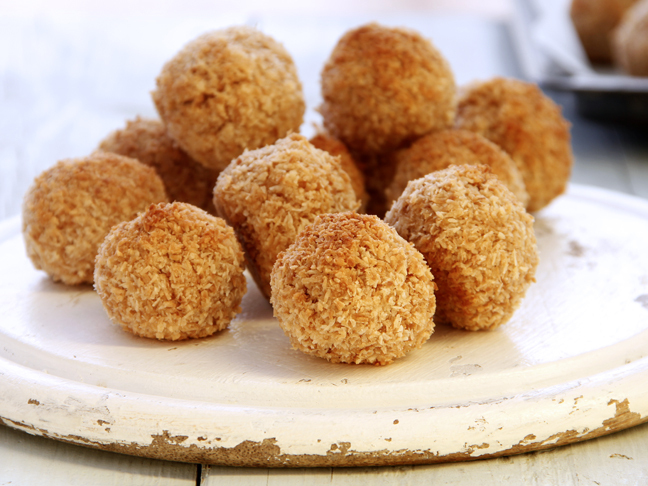 Step 2: Wipe the excess moisture away with a paper towel. 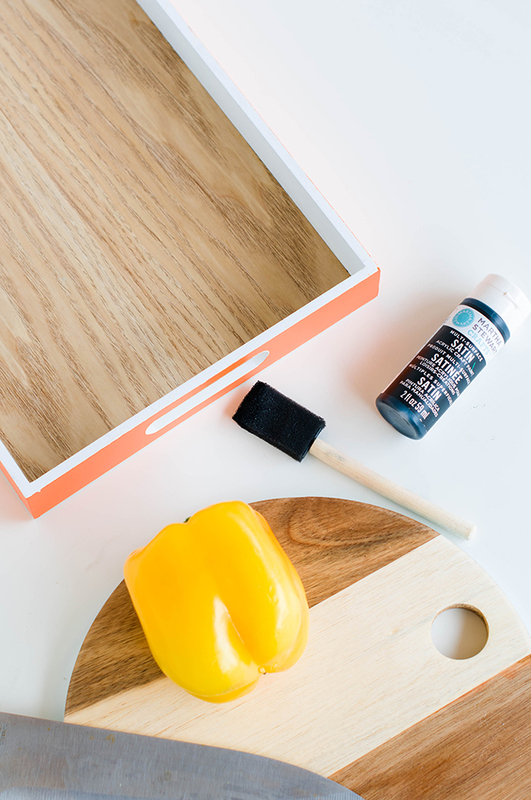 Step 3: Paint one of the bell pepper rims with a layer of black acrylic paint. Step 4: Make a few practice prints on some sheets of scrap paper. Step 5: Stamp the tray. Be sure to add paint after every few stamps so the design looks even. 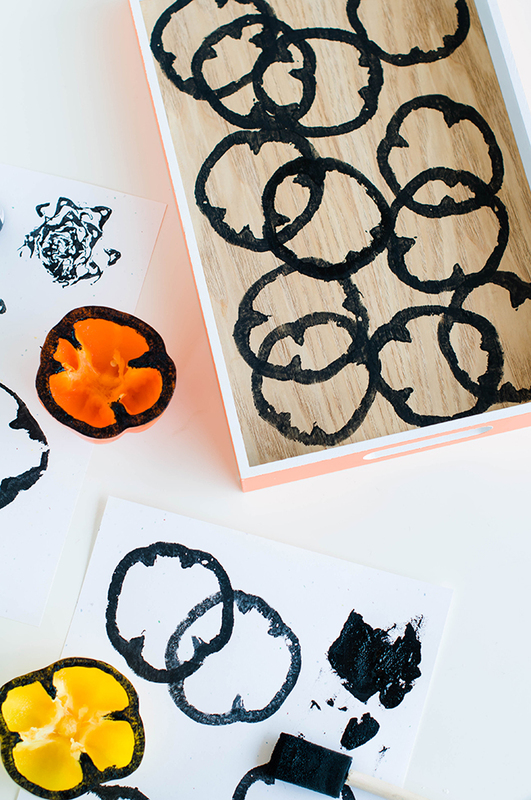 Step 6: Let the paint dry for at least 30 minutes. 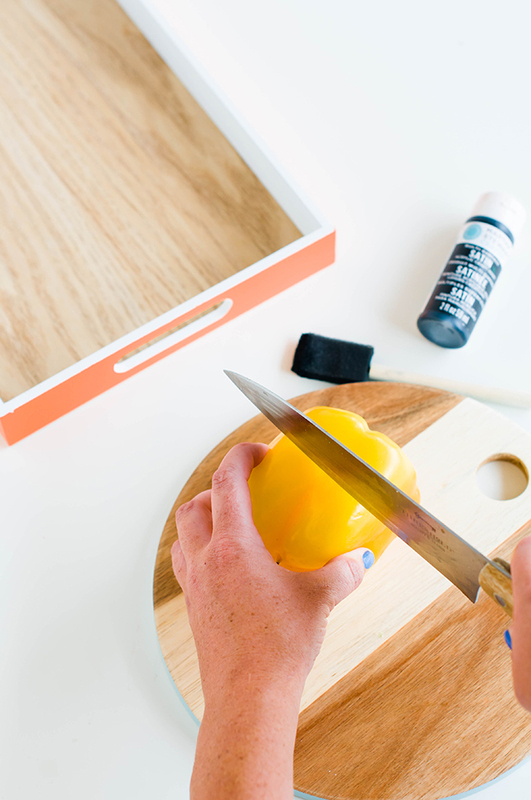 If you desire, you can paint a clear coat of acrylic on the tray to “seal” the design. 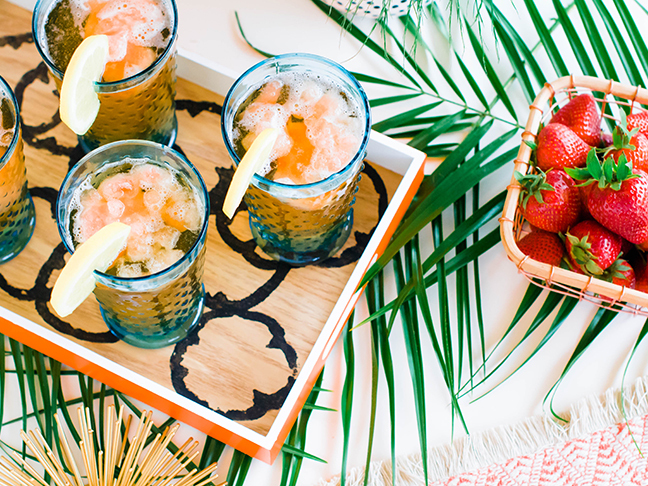 And then mix up some delish beverages for your guests. Using vegetables as stamps is such a fun and unique way to add texture to a project. 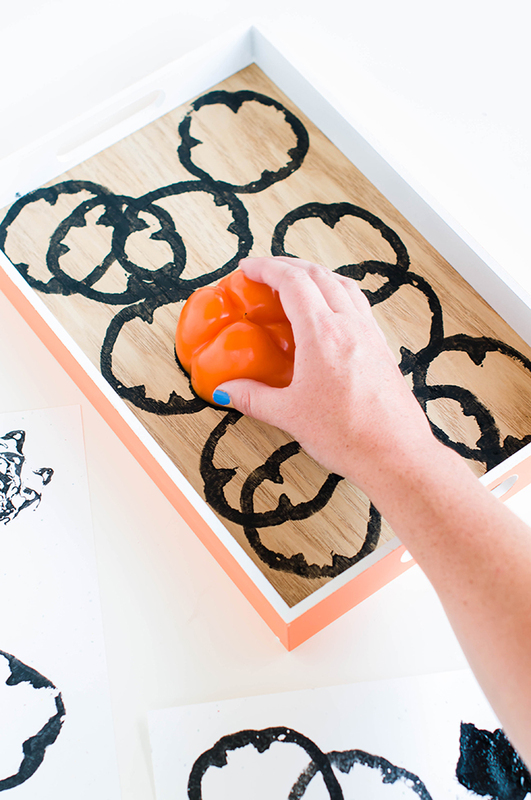 In addition to this tray, you could use this idea to stamp notebooks, pillows, blankets, tea towels, and more.